100% wholegrain. High in fibre. Low salt. Contains folic acid. Suitable for vegetarians.Dive In! 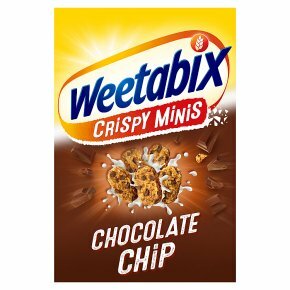 Weetabix crispy minis are delicious and crunchy bites made with golden wholegrain wheat. High in fibre and crammed with real chocolate chips It's a super tasty breakfast that'll go down a treat Have you had yours?